Egypt's Football Association said Wednesday the decision to base its national team in Grozny for the World Cup was taken by head coach Hector Cuper and was not politically-motivated. The team's stay in the capital of Muslim-majority Chechnya had spurred widespread criticism, especially from human rights groups over concerns of abuses by Chechen President Ramzan Kadyrov, supported by Russia's President Vladimir Putin. Egypt's star player, Liverpool forward Mohamed Salah, found himself at the centre of the controversy over accusations Kadyrov took advantage of his presence and appeared alongside him for political gain. FA chief Hany Abu Rida said head coach Cuper had chosen Grozny, and he quoted the Argentine as saying that "what I care about is training, the stay and transport". Cuper had seen "that it was the best in everything" compared with other larger cities, despite the distance between it and the three stadiums where Egypt played, Abu Rida told a news conference in Cairo. "I wish our stay would have been in the (Russian) city of Kazan," but teams who qualified for the World Cup ahead of Egypt had already booked all of the city's facilities, said Abu Rida. "The (Egyptian) political leadership did not interfere at all in whether Grozny would be chosen," he said. On Tuesday, the Egyptian FA thanked Cuper for his work after his contract expired following the World Cup, where Egypt lost all three of the matches they played in. Abu Rida said Cuper was still expected to draw up a technical report on the team's performance at the World Cup. "When it was said that Grozny had some political problems, we became aware of this... but we, as the Egyptian Football Federation, only talk about sport and not about religion or politics," he added. "We asked whether our departure from Grozny could affect Egyptian-Russian relations... and therefore we preferred to stay," he said. After Egypt's 3-1 loss to Russia, Kadyrov hosted Egypt for a dinner at which he presented Salah with honorary Chechen citizenship. Abu Rida said it "was not possible to turn down the invitation by the president of the republic who wanted to welcome the Egyptian team". 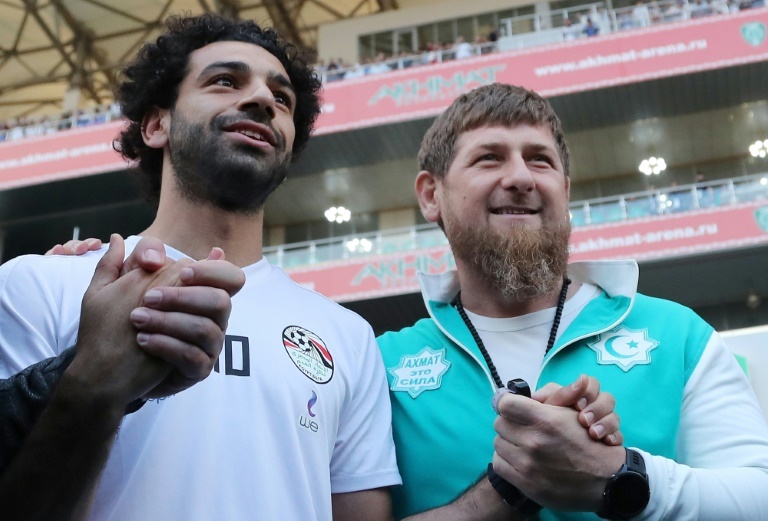 The FA chief added that Kadyrov had met with Salah "as a supporter and not as the president of a nation". Salah returned to action for the first time in three weeks following a shoulder injury but was unable to save his team in the game against Russia.